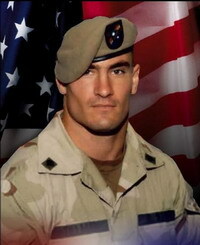 Congressional investigators consider over offensive remarks made by a U.S. Army officer who was investigating the death of professional football player-turned soldier Pat Tillman in Afghanistan. The query came in a letter Wednesday from the House Committee on Oversight and Government Reform, which has been investigating the circumstances surrounding Tillman's 2004 death by friendly fire and the Pentagon's handling of it. The panel's chairman, Rep. Henry Waxman, and ranking Republican member, Rep. Tom Davis, asked Gen. Carter F. Ham about the remarks by Lt. Col. Ralph Kauzlarich questioning the religious faith of Tillman's parents. "We believe these statements were crass, insulting to the Tillman family, and completely inappropriate for an Army officer and an official representative of the U.S. military speaking to the press," Waxman and Davis wrote. Kauzlarich was serving in Afghanistan in May 2004 when he was tapped to investigate Tillman's death. He concluded Tillman's fellow Army rangers shot him during a chaotic ambush. During an interview last year with ESPN.com, Kauzlarich argued that the Tillman family, which pressured the Pentagon for a thorough investigation after initially being misled about how the football player was killed, would not accept previous Army findings, including his own, "because of the absence of Christian faith in their lives." "When you die, I mean, there is supposedly a better life, right? Well, if you are an atheist and you don't believe in anything, if you die, what is there to go to? Nothing. You are worm dirt," Kauzlarich said in the recorded interview, part of which was posted on the sports news Web site. Acting Defense Department Inspector General Thomas Gimble told Waxman's committee last month he "was shocked by" Kauzlarich's comments, but did not investigate them. Kauzlarich, a commanding Army officer in Iraq, did not immediately respond to an e-mail seeking comment from The Associated Press. Ham, his superior and a major general, is also in Iraq, said Army spokesman Paul Boyce. Boyce said he had not seen the committee's letter and could not comment on its contents. "We have been working closely with the House oversight committee and continue to do so," he said.